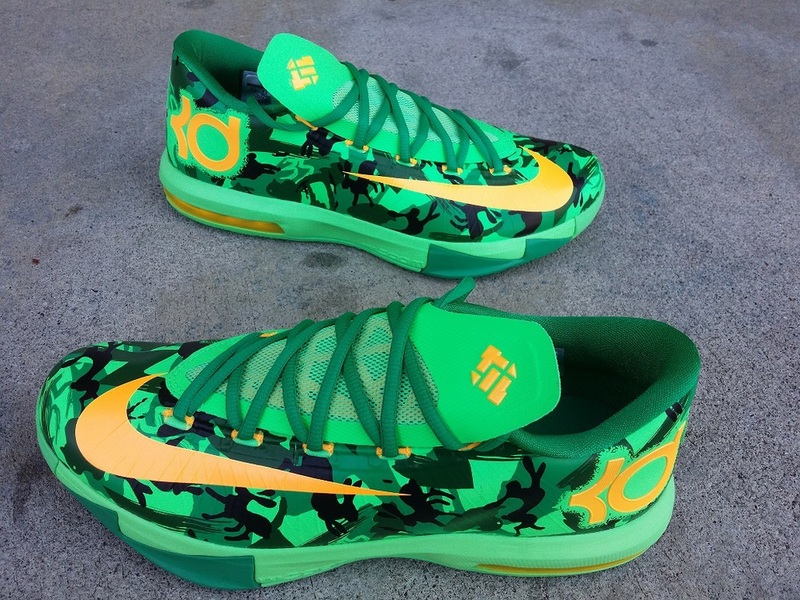 Nike KD VI "Easter Collection"
Nike KD VI "Easter", Available Saturday April 19th, by raffle entry. Winners will automatically qualify for a chance to purchase The Nike Foamposite "Laser-Crimson" AkA Yeezy's. The 2014 Nike Basketball "Easter" Collection has arrived, inspired by the traditional egg hunt. Featuring camouflage pattern, with a mix of easter iconography along the upper. perfect shoe to bring the joy of hunting this following holiday. Nike Kobe IX "Easter Collection"
Air Jordan 11 Retro Low "Turbo Green"